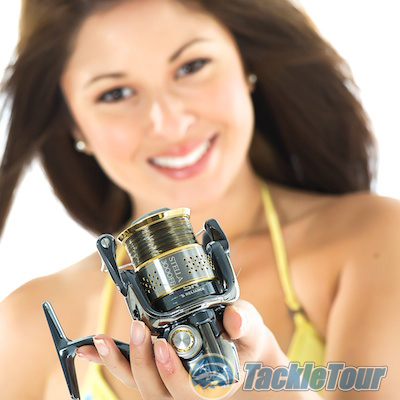 Introduction: The weathers warming up and the girls are ready to showcase some more hot tackle in the second round of our Summer Buyers Guide. We take a look at a range of different products including enthusiast tackle, accessories, lines, and even some fly fishing gear. Fishing Line Mono : Sunline Supernatural. Fishing Line Mono : Nylon monofilament is the lifeline upon which most anglers rely to continue their favorite past time. It is affordable and therefore easily replaced, reliable, and gets the job done. Most enthusiast tackle collectors shy away from nylon monofilament because it�s simply not a product associated with premium quality, until now. Sunline’s new, Supernatural nylon monofilament, is soft, supple, and available for roughly ten dollars per three hundred thirty yard spool, not super cheap, but not a price that will break the bank either. It’s also available in three colors, but most of all, this is a premium quality nylon monofilament. Spool up this Summer with Sunline Super Natural from Hi's Tackle Box. Fishing Line Braid : Sufix 832. Fishing Line Braid : We were enamored with Sufix’s new 832 braid when it debuted at last year’s ICAST and we�re still enjoying our time with this Gore infused line. 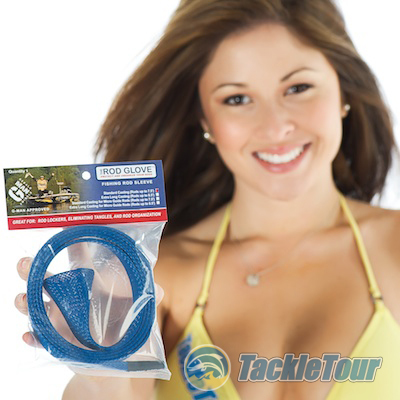 It is smooth, durable, has good impact resistance and is available at a price that won�t spool your wallet on each cast. It continues to be our recommendation for that lucky recipient on your summer gift buying list, and is available now from the line specialists at Hi's Tackle Box. Fishing Line Fluorocarbon : YGK DARM. Fishing Line Fluorocarbon : Where Nylon monofilament is mostly about economy, fluorocarbon lines are all about premium. Cal’s motto when it comes to fluorocarbon? If it’s not premium, then why bother? Use something else instead. And it’s not just about price. A premium quality fluoro has to have a certain degree of unmanageability, low stretch, and clarity. So what’s the latest premium fluorocarbon to catch our attention? YGK’s DARM. Formerly only available in Japan this is a premium quality fluoro by one of the most respected manufacturers in Japan. Thanks to Hi’s Tackle Box, you can now purchase this line domestically. Tools/Accessories: Rod sleeves by manufacturers like McCoy and Stik Jacket have really taken off in popularity of late. While the designs are still imperfect (we continue to experience guides popping out of the sleeves even with the micro-sleeves), for a quick, on and off installation, it’s tough to beat this woven nylon sleeve material. Add a little branding to the mix, and you have the makings for a gift guide recommendation. New manufacturer on the block, Rod Glove is doing just that by taking a proving design and adding just a little extra incentive for fishermen to protect their investments. The useful Rod Glove is available at Hi's Tackle Box. Rod Glove offers their product with custom branding. Enthusiast Casting Reel : Shimano Conquest 50/51DC. Enthusiast Casting Reel: They said it couldn’t and wouldn’t be done and now, several years later, Shimano Japan has found a way. We’ve yet to even fish this reel but the excitement potential is already off the charts. An easy pick for our Summer Gift Guide recommendation in the Enthusiast Casting Reel department? Shimano Japan’s Conquest 50/51DC!! This premium reel is available at Japan Tackle. Enthusiast Spinning Reel: The excitement Shimano has generated at TT HQ thanks to the Conquest 50-sized DC has spilled over into the spinning reel department only the Stella is available both domestically in North America and in its original market Japan. While we still feel the refinement seemed premature, we’re enjoying the power and smooth operation of the enthusiast level Stella FE. The Stella is available at Tackle Warehouse. Enthusiast Spinning Reel : Shimano Stella. Enthusiast Casting Rod: Purists have and will likely continue to scoff at the mainstream availability of Megabass’s new, “entry level” rod seemingly designed with the North American angler in mind. But when one company’s entry level rod is priced at or over ninety percent of the markets’ premium offerings, well, what’s up with that? TackleTour’s Summer Gift Guide buying recommendation is what’s up. Megabass’s new Orochi X4 series of rods may be entry level in pricing but with a performance that surprised even Cal, they have the potential to render most other rods in Megabass’s lineup irrelevant. The Megabass rods are available at Hi's Tackle Box. Enthusiast Casting Rod : Megabass Orochi X4. Enthusiast Spinning Rod: So who’s on the other end of the Japanese Bass Rod market? While Megabass is busy appealing to the masses, Evergreen International continues to up the ante with their Kaleido series of rods. 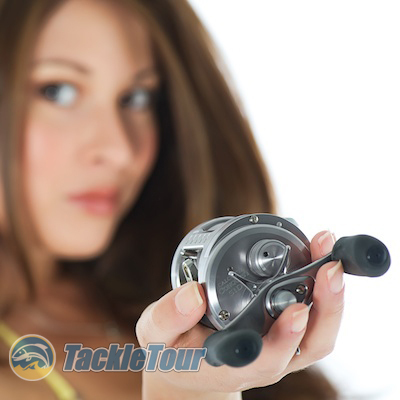 But with an exchange rate that continues to discourage purchases of uber premium enthusiast equipment from Japan, what�s a hungry tackle enthusiast to do? Enthusiast Spinning Rod: Evergreen International Heracles HCSS-64ML Black Regius. Evergreen International�s Heracles series of rods offer some of the same mind blowing performance of the Kaleido series at a slightly more palatable price. The Heracles Black Regius is currently making its way through the TackleTour finesse trials of 2011, but so far, indications are, it’s another big winner from Evergreen International.